Memory Card Support? Yes. 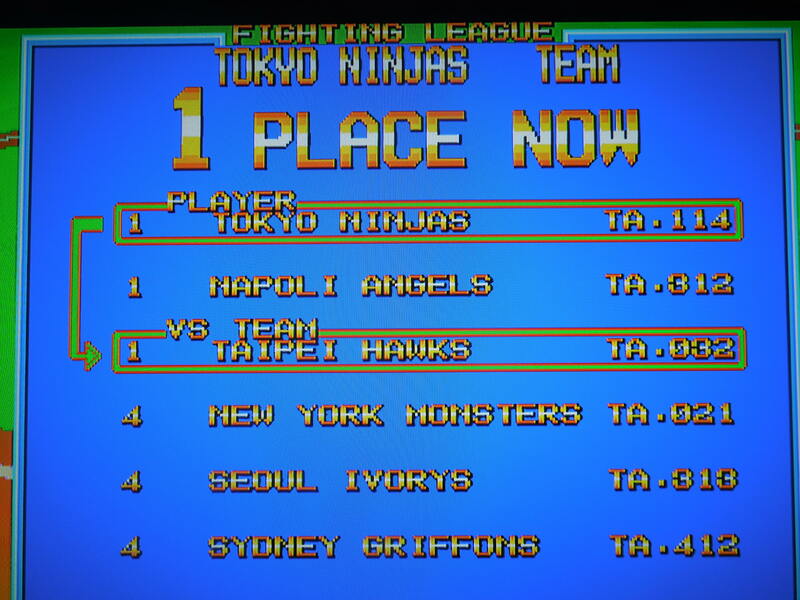 In Pennant Race Mode, the game auto-saves your progress after every half-inning if you have a memory card inserted. Extra Innings and 10-run rule? Yes – I’ve gotten as high as 19 innings before a tie was broken, and if you get ahead (or behind) by 10 runs, the game ends, even if you’re in the 2nd inning! 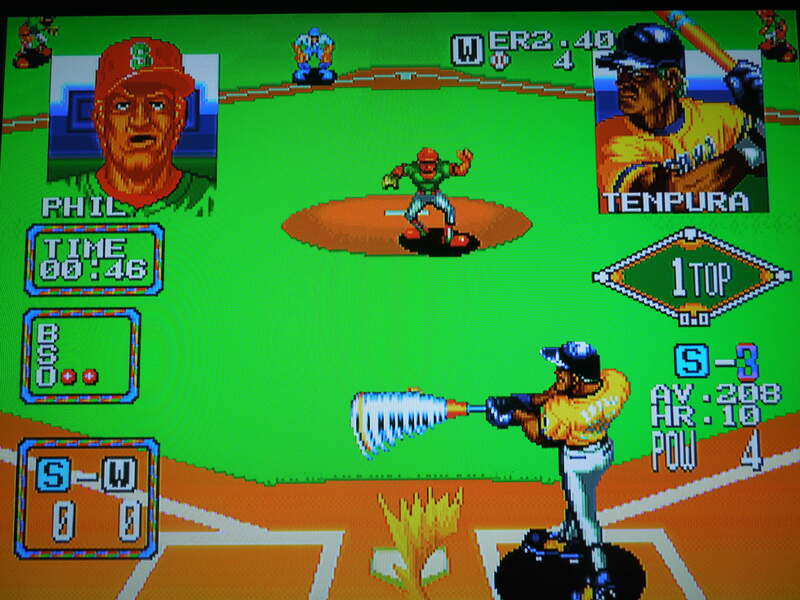 Very Quick History: Baseball Stars 2 was released for the Neo Geo AES home console and MVS (arcade cabinet) in 1992. It is the sequel to 1990’s Baseball Stars Professional. 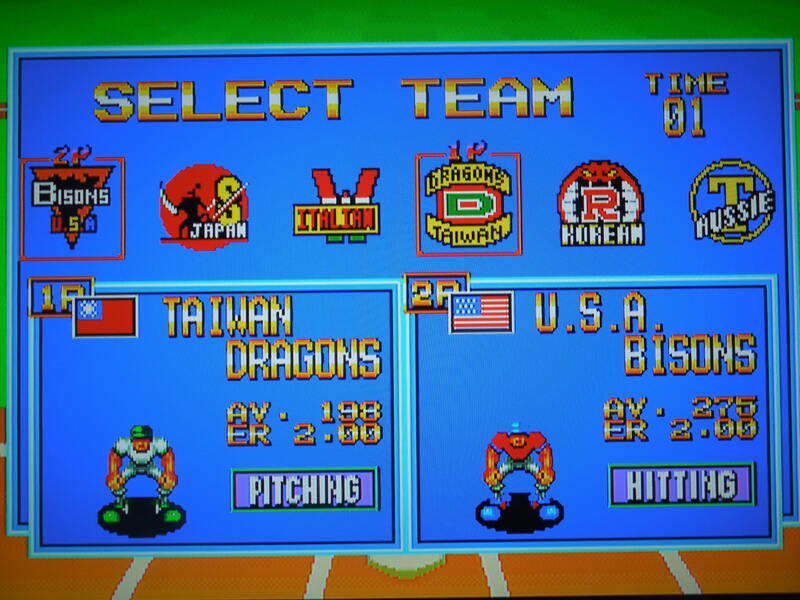 Modes: Baseball Stars 2 has two modes of play: Pennant Race (1 Player) and VS. (2 Players). In VS., each player selects a different team from among 12 total teams and go head-to-head in a 1-off game to determine a winner. While the VS. mode is great fun for 2 Players, the Pennant Race is where the game truly shines. 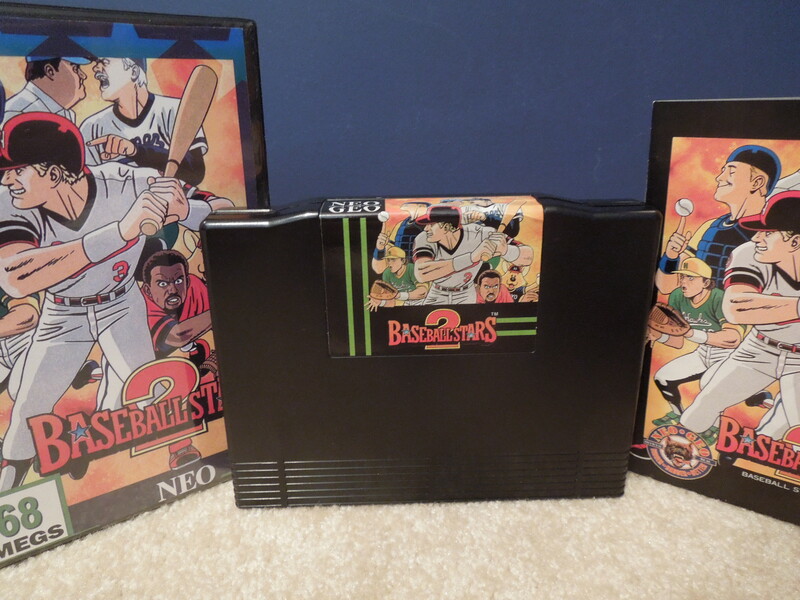 While not everyone is familiar with the Neo Geo, Baseball Stars 2 was a more common game for the system. Each team has different strengths. Choosing the Fighting League is labeled as ‘Easy’ and choosing the Exciting League is labeled as ‘Hard.’ This is because the fielding of the Fighting League teams is ‘automatic,’ and the fielding of the Exciting League teams is ‘manual.’ Essentially, what this means is, for example, when a pop fly or ground ball is hit by the computer in your fielder’s vicinity, if you are using a Fighting League team, the fielder will automatically be put in position (without you having to do anything) to catch or stop the ball. However, if you have an Exciting League team, you’ll have to make sure you move the player into position yourself to catch or stop the ball. Having played with teams in both Leagues equally, however, I would say there is not much of a difference between the fielding of ‘automatic’ and ‘manual.’ Even in automatic, you’ll still sometimes need to put your player in position to stop or catch a ball, and in manual, sometimes you’ll still automatically be placed in position to stop a ball. The bottom line is, don’t be daunted by the ‘Manual’ Exciting League, it’s not much different from the Fighting League. League (Division) Standings are displayed after every game in the Pennant Race. After you pick a League, you select which team you want to play as from that League, then play a 15-game season against the other teams from your League (you’ll play each team 5 times). After each game, win or lose, you’ll be shown the League (Division) Standings, and you can see what place you’re in. The object of the Season, of course, is to place first in your League (have the best record) at the end of the 15-game season. If you finish 1st, you’ll move on to a 16th game, the World Championship Game, against the League (Division) winner of the other League. Win it, and you’ll be World Champion and have beaten the game! Recently, I played through the game with the Italian Waves; I went 11-4 in the regular season, won my Division, and played the USA Bisons in the Championship game, and narrowly escaped with an 12-11 victory. Every team has a bopper or two…or five. The importance of winning your 15 regular season games: If you win a regular season game, the ‘Owner’ of your team will bestow upon you 10 ‘Power Bats’ – large baseball bats that you can assign at any time to your batters that are frequently used (but not guaranteed) for bashing homeruns. 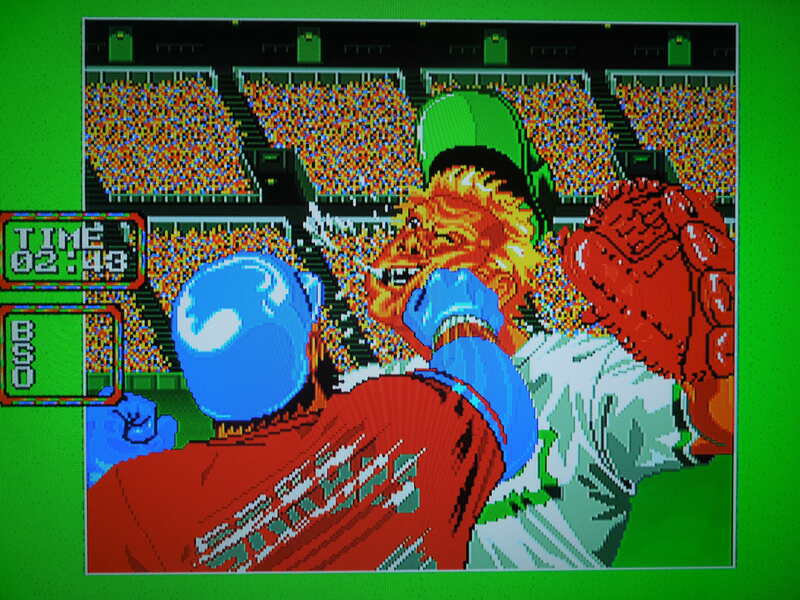 If you don’t win a regular season game, however, you get NO Power Bats, and winning can be much tougher. Power Bats can be used at opportune times to give you the advantage. Pitchers: You have 4 pitchers at your disposal for each game, and you can take out a tired one and put in a fresh one at any time. Pitchers’ strength and stamina lasts for an average of 2-3 innings, and it is very important that you save a fresh pitcher for the bottom of the 9th inning so the computer can’t rally (*you always bat first and the computer always bats second, in every single game and the Championship game). Help from the Owner: After season games, and sometimes even during games, the owner will assign a special batter or pitcher to your team to help you win – the pitcher might have a better-than-average stamina or the batter might be capable of hitting homeruns easily. Excellent graphics and gameplay are obvious in Baseball Stars 2. Conclusion: Baseball Stars 2 is a wonderful baseball game – the Pennant Race/Season mode is really, really fun. 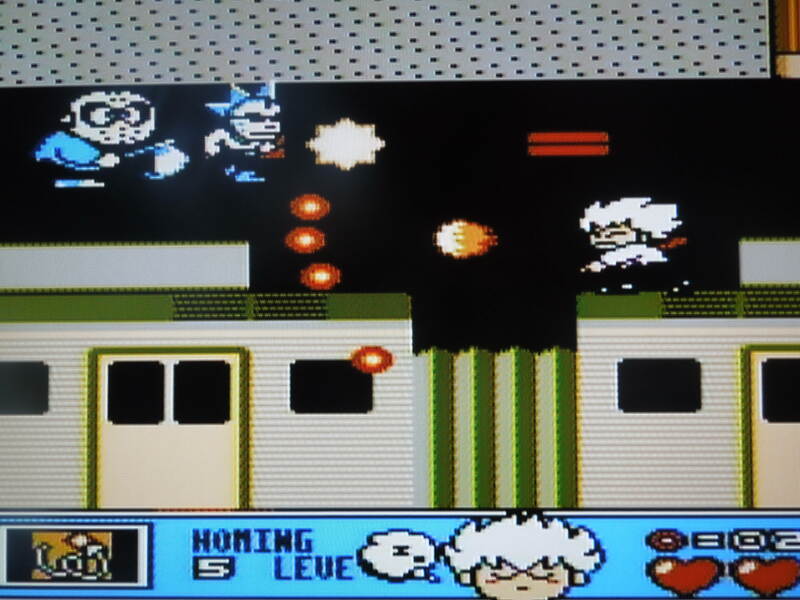 The graphics of the game are spectacular. 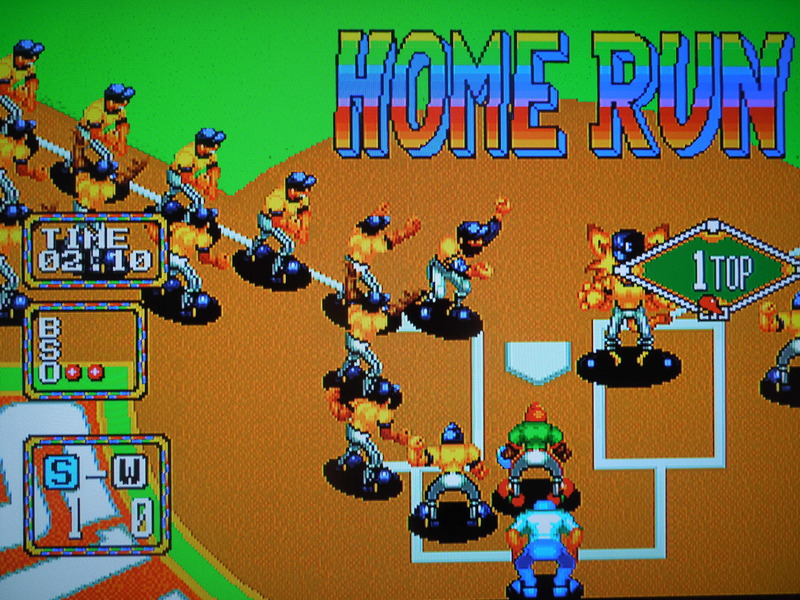 The ball players are larger-than-life and colorful, and of particular note are the ‘close-ups’ that occur on close plays. 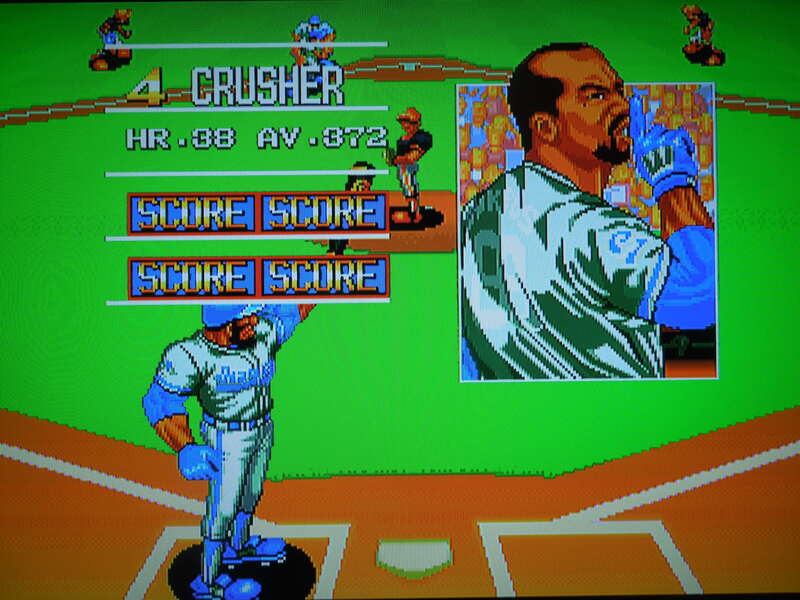 For example, when there is a close play at first, the game will show a cut-away of the player narrowly being ‘safe’ or ‘out’ at the bag; if you have to make a diving catch, a graphic of a player diving will be displayed, or if you hit a particular batter with the ball, he will rush the mound and punch your pitcher in the jaw, complete with an action graphic. Zoom-in effects sometimes happen with foul balls, where the ball will come spinning back towards your tv screen, and this is one of my small personal favorite aspects of the game. There are numerous voice-overs for the game, and they all add to the excitement: “It’s outta here – a HOME-RUUUUUN!” “The Italian Waves scored this inning!” “He needs relief!” The music is upbeat and catchy. The difficulty of the computer can vary from Normal to Very Hard, but learning how to manage your pitching rotation, knowing when to use Power Bats, and learning the nuances of fielding (after a few practice games) can increase your chances of winning.